Built by the thousands during W.W.II, these prefab metal buildings found all sorts of postwar uses. 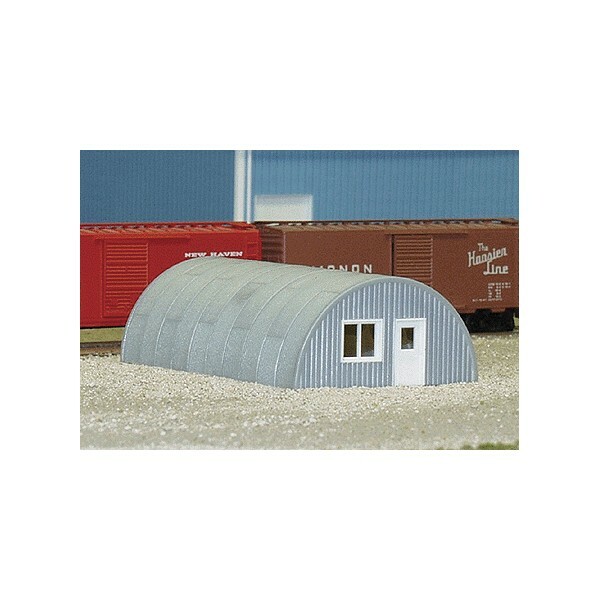 Kit includes one 24 X 38 X 12 and features precut door and window openings. Molded in a Galvanized color with white doors and windows.